Designed to fit the amazing ‘small’ spaces that people are now designing and building all over the world. From cliff top luxury beach cabins to tree houses, shepherds huts, tiny homes, small fireplaces, garden sheds, workshops, caravans, vardo wagons, campervan conversions, horse boxes, yurts, bell tents, pods, garden rooms, summerhouses, canal boats, shark boats, plastic boats, old forges, conservatory, kitchen, lounge, or bedroom and even, in my case old Devon cricket pavilion, the Hobbit stove has found a home in them all. 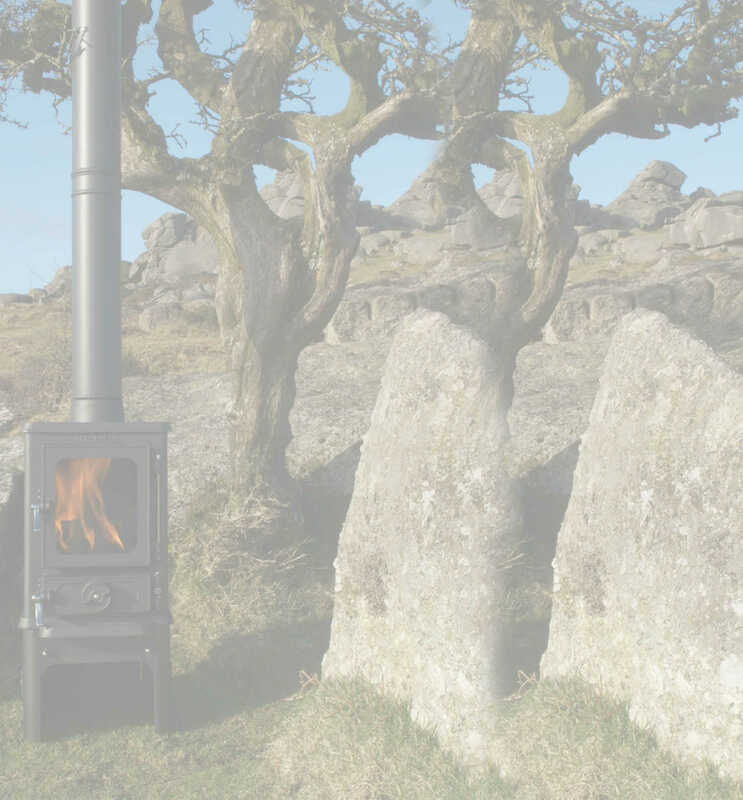 You may want a small stove suitable for your small fireplace but also want to retain your lovely ornate cast iron fire surround, The Hobbit stove has been designed for this and other scenarios where space is at a premium. 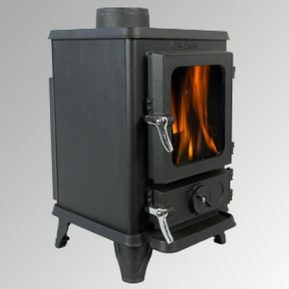 If you live in a smoke control zone and want to burn wood you will need the Hobbit SE, DEFRA APPROVED model. The Standard colour for the stove and door is Black but a range of colours are also available along with a number of stove options you may wish to consider to suit your particular requirements.